Wineries - Congratulations on your success at the 2018 FLIWC! 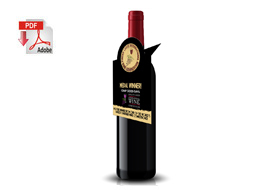 Below please find marketing materials to help you promote your medal-winning wine! For each medal category (Double Gold, Gold, Silver and Bronze) there are bottle tags and shelf talkers available for you to download and print. 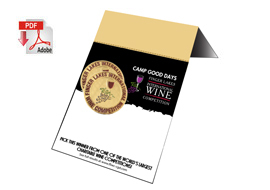 Show the world that your wine medaled at the Finger Lakes International Wine Competition with a bottle award sticker. Stickers come in rolls of 500 and can be ordered in Double Gold, Gold, Silver, or Bronze denominations. Reproduction agreements are also available to create your own stickers or labels. Call 800-785-2135 or 585-624-5555 to order.